John Edmark has 3d-printed a series of sculptures which do something rather remarkable when you rotate them. In the stop-motion animation above, the sculpture rotates by the golden angle in each frame. See more: Blooming Zoetrope Sculptures by John Edmark at Instructables. Erik Åberg is selling a short documentary about these lovely foldy cubes on his website. 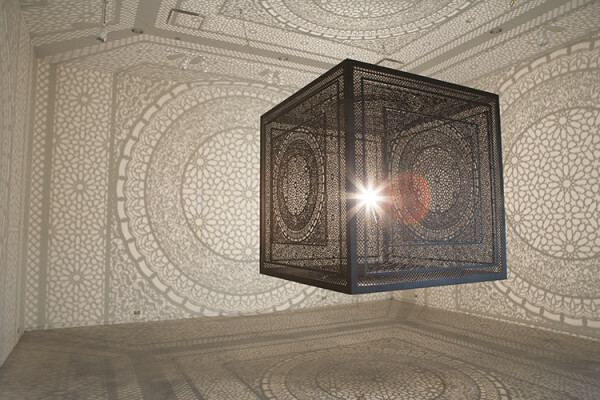 Intersections by Anila Quayyum Agha. I really really like this zoom into a Menger sponge made by Reuben Thomas of functor.co.